The Argentinian player Diego Maradona has expressed his position on the issue of racism. On June 17th (Korea time), Maradona wrote on his Facebook in Spanish, English and Italian "I saw an Asian boy wearing an Argentine T-shirt," he said. "I just wanted to tell the Asian fans that it was cool because they cheered on us." 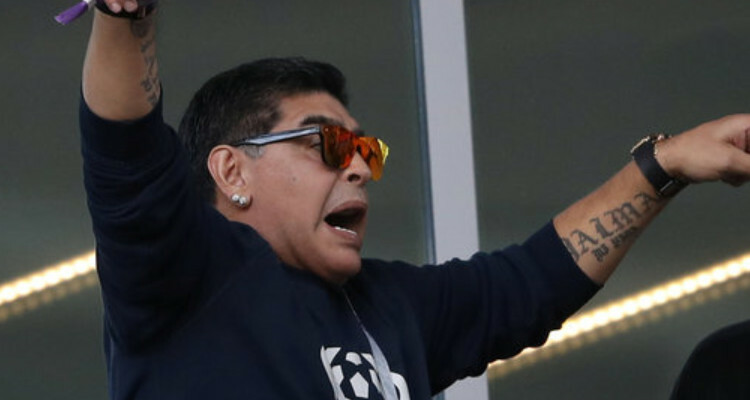 ﻿﻿Prior to the game, Maradona had his eyes torn at Korean fans who shout out the Argentinian players name at the match between Argentina and Iceland at Spartak Stadium in Russia.